Sir Kenneth Branagh wants to make Agatha Christie's 'Death on the Nile' into a new film. 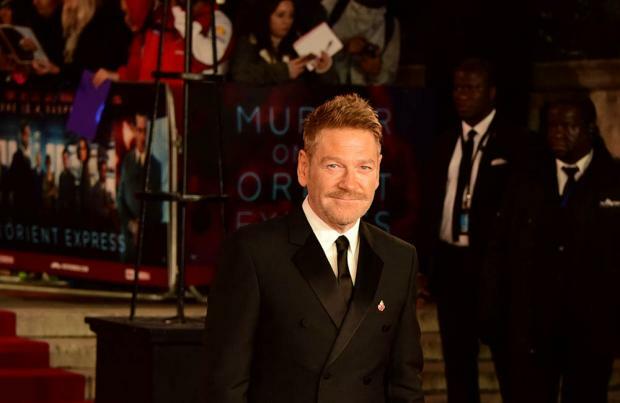 The 56-year-old actor starred as Belgian detective Hercule Poirot in 'Murder on the Orient Express' - which he also directed - and he wants to star as the iconic detective again and is keen to bring Christie's 1937 novel to the big screen. Speaking to CinemaBlend, Branagh said: "It's a great book, you know. Michael - Michael Green, our screenwriter - wanted to feel this Poirot who never gets a holiday. You could call it, instead of 'Murder on the Orient Express', you could say 'Hercule Poirot Tries To Take A Holiday'. "First in Istanbul, then on the Orient Express, then at the end he gets sent to Egypt. 'Death on the Nile' - if we did one, we'd love to. "The public will decide; they come to see this in sufficient numbers we'll be there. I'd love to play Poirot again and that's a very, very passionate book about obsessive love. So it's very dangerous. "And given that we have a Poirot who has this mysterious relationship to Katherine [who is seen in a photograph]. "Who is she? What is she? And where does he sit when it comes to the world of romance - beyond the hint that it never goes unpunished? I think there's gold in them hills if we get the chance." 'Death on the Nile' was made into a film back in 1978 starring Peter Ustinov as Poirot, Mia Farrow as Jacqueline de Bellefort and Angela Lansbury as Salome Otterbourne. The plot follows the detective as he attempts to uncover a killer on board a luxury cruise along the Nile. But just as Poirot identifies a motley collection of would-be murderers, several of the suspects also meet their demise, which only deepens the mystery of the killer's identity.